April is Florida School Volunteer Appreciation Month and today marks the first day of Public School Volunteer Week. Getting involved in your children’s school opens your eyes not only to the workings of the classroom, but to the school system itself. You learn the needs of the children and their families when you volunteer at a school, whether directly in the classroom or behind the scenes. While I’m not the baker my mom is and contrary to her belief, I can sew (although I quite frankly would rather use tape or a safety pin), and I got my desire to help in the classroom from watching her. I started by volunteering during Kindergarten lunch, opening milk boxes and putting ketchup smiley faces on hamburgers. From there I volunteered to be a class mom, and helped the teacher directly with homework grading, small projects and such (and delegated anything sewing-related). I eventually chaired a schoolwide project for the creative arts for many years, something I was passionate about. 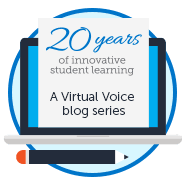 Is your child homeschooled or a virtual education student? There are ways to get involved here as well. 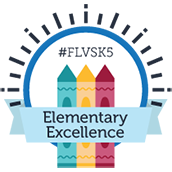 Families work alongside their child in the FLVS Flex Elementary program, and field trips and activities are also offered. The classroom may be online but you could be a guest speaker and help with a live lesson. Keeping in touch with the teacher is key to creating that connection. And, your child, and the children at school, benefit. Aside from my children and their friends treating me like a rock star when they’d see me at school, I experienced other benefits from volunteering there. For one, I had a deeper appreciation of all that a teacher was tasked with day in, and day out…the hours, pay, responsibility—times 20 or so little humans! Two, I developed a closer bond with my children. Knowing a little of what their school day consisted of helped me connect with them later at home. And because I was serving “on the inside” I often was made aware of upcoming events or activities. That heads up can be very helpful when navigating the school year. Three, Mrs. K and her children were well-known and recognized for supporting the school. We were treated with respect by other students, teachers, and administrators. That was priceless. Not everyone has the desire or the ability to physically volunteer at a school, but there are many ways to get involved. 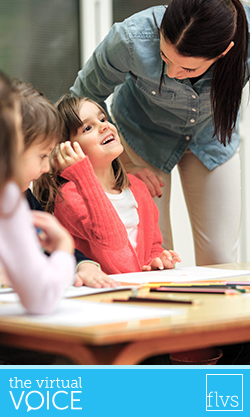 Talk with your child’s teacher and hear some of the needs and discover if a way to show support and connection can be made. Chances are, yes! And the beauty of volunteering is that it can be as little or as much time as you’d like. Public schools, all schools, need support—whether it is one time or ongoing. As a parent, there are many ways we can show our children that we care. Getting involved in their school life at a young age is a perfect time and place to start. Thank you, parents and caregivers, for the significant role you play in supporting student success! This entry was posted in Parent Edition and tagged Community Service, Educators, Florida School Volunteer Appreciation Month, Homeschool, Parent Volunteering, Parent Volunteers, Parental Involvement, Public School Volunteer Week, School Involvement, Tips for Parents, Volunteer Service, Volunteering on April 17, 2017 by Suzan Kurdak. Glad to know I was such a positive role model. Perhaps you didn’t get the full baking gene but you exceeded any volunteer gene I may have had.